Iowa Code Section 299A.1 states that home instruction or home schooling satisfies compulsory attendance requirements as “competent private instruction.” The code defines the term as “private instruction provided on a daily basis for at least 148 days during a school year, to be met by attendance for at least 37 days each school quarter, by or under the supervision of a licensed practitioner in the manner provided under section 299A.2, or other person under section 299A.3, which results in the student making adequate progress,” as noted below. From 1991 through 2012, Iowa Code consistently defined homeschooling as “competent private instruction.” In 2013 Iowa Code was legally revised and now includes two main homeschooling paths plus related options. As of 2013-2014, all options are clearly defined in the Iowa Department of Education’s “Private Instruction Handbook (Home Schooling or Enrollment in a Non-Accredited ‘School’)” and summarized in a “Private Instruction Comparison Chart.” Both of these documents can be found at educateiowa.gov. Independent Private Instruction/IPI – Iowa Code Section 299A.1(2)(b): Allows a homeschool to instruct up to four unrelated students in addition to children in the family who are being homeschooled. 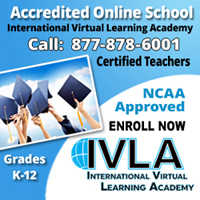 Students must be instructed in math, reading, language arts, science and social studies. This path does not require homeschool parents to notify the school district of their intention to homeschool or complete a year-end assessment of students. However, if the local school superintendent asks for the information, the homeschool must provide a report including the name of the primary instructor, location of the homeschool, the name of the person managing the IPI and the names of all students enrolled in the school. IPI does not include accredited private schools. Competent Private Instruction/CPI – Iowa Code Section 299A.1 and 299A.3: CPI is defined in paragraph one, above. This approach offers two options to the homeschool parent. Option 1 in this category applies to instruction “by or under the supervision of a licensed practitioner” and requires that the homeschool parent submit a registration Form A to the school district by September 1 of the year of enrollment. Option 2 covers instruction “by a non-licensed person” and allows that the homeschool parent is not required, but MAY submit a Form A to the school district by September 1st of the year of enrollment. 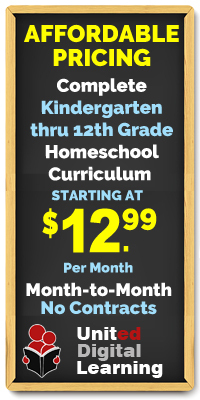 Hiring a private instructor or Supervising Teacher: If a homeschool starts up after the beginning of the public school year, parents must file a FORM A within fourteen (14) calendar days of starting a homeschool. FORM A can be found here: https://www.educateiowa.gov/documents/options-educational-choice/2014/12/form-2014-2015. 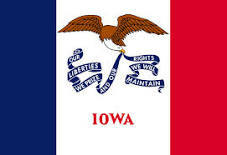 The supervising teacher/instructor or tutor must be licensed by the State of Iowa. A parent who holds an Iowa teaching license can function as the supervising teacher. Under this option, students are allowed to participate in dual enrollment in a local public school. If application for dual enrollment is filed by September 15, the student has access to public school classes and public school extracurricular activities. Homeschooling Plus an Annual Assessment: Parents selecting this option must file a FORM A. . FORM A can be found here: https://www.educateiowa.gov/documents/options-educational-choice/2014/12/form-2014-2015. Assessments must be filed with the local school district by September 15 of the year the child turns seven (7). If the student is older than seven (7), assessments must be filed after the first year of homeschooling. Annual assessments must be completed by May 1 and filed with the school district by June 30. Assessments in reading, language arts and math should be administered for grades 5 and below. Reading, language arts, math, social studies and science should be assessed for grades 6 and above. Under this option, students are allowed to participate in dual enrollment in a local public school. If application for dual enrollment is filed by September 15, the student has access to public school classes and public school extracurricular activities.